Made of pure 100% keratin and applied in seconds, NANOGEN Hair Fibres instantly create natural looking and feeling hair density. The tiny hair fibres are shaken on from the special container and bind securely to your hair from the root to the tip, until you wash them out. Your hair is our first priority, so whilst developing a product with astonishing results, safety still came first. 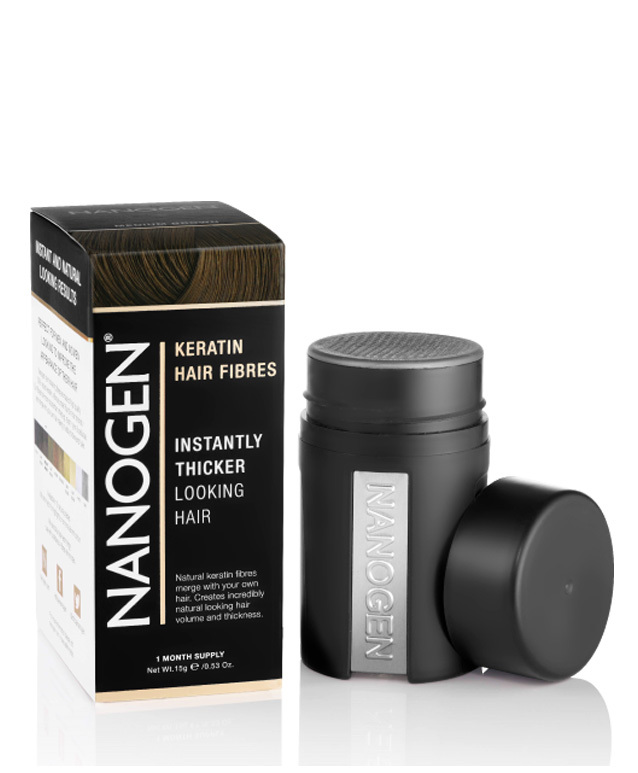 NANOGEN Hair Fibres are natural keratin, just like your hair, so they're no more damaging than the hair on your head. They've also been independently dermatologically tested to prove they're safe to use every day. A professional dermatological test from UK has testified that all NANOGEN products do not cause skin irritation.